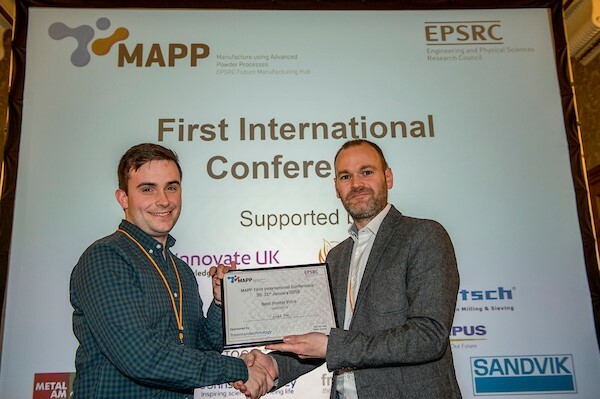 The MAPP First International Conference provided a great opportunity to gain a wider knowledge of what is happening in the general field of additive manufacturing (AM). As a new University of Sheffield PhD student, who had never been to a conference before, I was keen to attend and potentially get inspiration for things to implement in my own research. 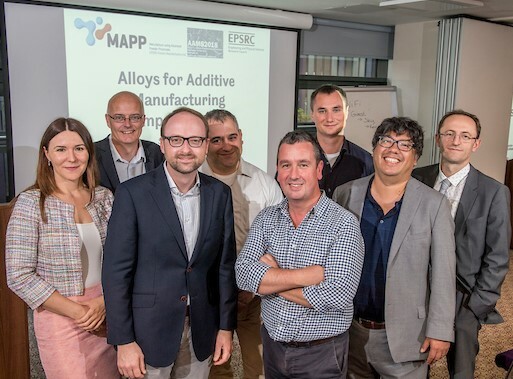 My research is in Laser Sintering (polymers), so MAPP is directly related to my work. The highlight for me was the way the speakers used amazing pictures and videos of the printing processes as they were happening. I hadn’t come across most of the methods used to do this, so the results looked spectacular. A video showing the melt pool spatter blocking up a gas pocket and being spat back out again was particularly impressive. Another highlight was seeing a polymers poster - from our very own Luke Fox - win first prize. It was great to hear about the variety and ingenuity of different methods of collecting data in situ, for example combining SEBM with SEM as discussed in Carolin Körner’s keynote. As well as from the finished parts, both below the surface, as discussed in Tresa Pollock’s keynote, and just from the surface as discussed during a presentation from the University of Nottingham. The sheer amount of research into this opens up a whole host of exciting possibilities for the future. The thing that I took away from the conference, was just how much data we collect but do not use. The potential for increasing the capabilities of in situ measurements to design smarter machines is huge. The possible benefits of combining these different approaches would completely change the AM industry and could change the way we use these parts. This, in a nutshell, is what MAPP is all about. Combining the research from all over the world to deepen our understanding of what is happening during the manufacturing process, and using that wealth of knowledge to design new, smarter systems, the like of which have never been seen before.